The Marvel Cinematic Universe is now ten years old. That means that 2018 also marks ten years since Iron Man was first released in theaters. Robert Downey Jr. has grown into one of the most beloved and recognizable faces in the entire MCU, bringing Tony Stark to life in a way nobody could have imagined. 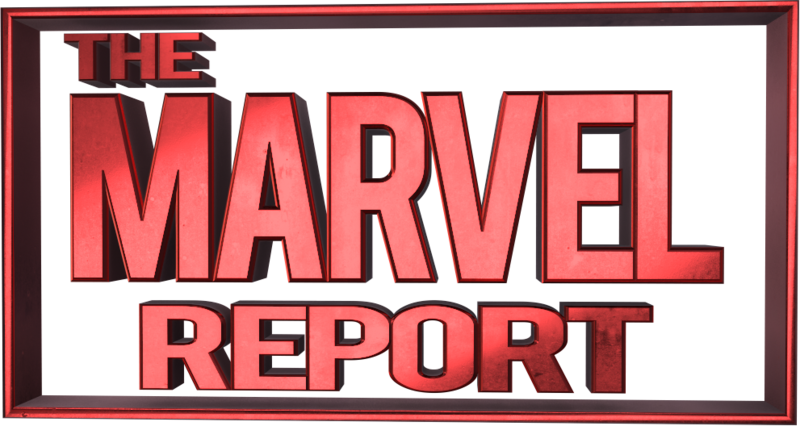 To celebrate Iron Man‘s tenth anniversary, The Marvel Report is looking back at some of Tony Stark’s best moments. These ten moments are in no particular order and are pulled from various corners of the MCU. It’s only right to start this list off with one of the first great Iron Man moments from the original film. Tony Stark has been kidnapped by terrorists and is being held captive in a cave. Forced to make weaponry for the Ten Rings terrorist cell, Tony gets to work, but opts to build a working suit of armor that will help him escape his captivity. What follows is a big part of what makes the Tony Stark character so revered. It’s his hands-on ingenuity, his ability to think on his feet, and his humanity, as seen in a later scene with a dying Yinsen. Everything begins here for Iron Man, as he makes his escape with flamethrowers blazing. It’s only forward from here, as Tony returns to the United States, renouncing his former vocation as an arms manufacturer and embracing his new identity as a hero. We’ll touch on that last one in a second. Following a tense scene aboard the S.H.I.E.L.D. Helicarrier where the Hulk destroyed everything in sight, Tony and Steve Rogers nearly came to blows, and Loki murdered Phil Coulson, the not-quite-yet Avengers were in a bad place. Loki had the Tesseract and was ready to call forth the full might of the Chitauri army. Earth’s Mightiest Heroes were ready to come to the planet’s defense, but they were also ready to avenge their fallen friend. But before everyone came together, Iron Man made a stop back at Stark Tower, where he knew Loki was going to enact his plan to call down the Chitauri. What followed was a rousing confrontation, where Tony told the God of Mischief to his face that his plan was going to fail. Of course, it wouldn’t be a Marvel movie if there wasn’t some levity to this scene, as it’s followed by Loki looking to control Stark. That’s until he taps the metal of Tony’s Arc Reactor. He’s confused by the whole thing, but as Tony tells him, performance issues are not uncommon. The Sokovia Accords have left the superhero community bitterly divided. Tony knew that a confrontation with Captain America and other rogue heroes was inevitable. But while he had War Machine, Black Panther, and Vision on his side, he needed an ace up his sleeve. He need a wild card that nobody would see coming. Fortunately, he saw footage of a young kid with spider powers on YouTube. Tony made the trip to Queens and met up with a boy named Peter Parker. (First stopping to introduce himself to his Aunt May, of course, because this is Tony Stark.) Seeing a younger version of himself in Peter, Tony showed Peter the YouTube videos and quickly found his primitive Spider-Man costume. One sales pitch later and Tony Stark brought Spider-Man into his circle, not just as a fellow hero, but as someone that he could mentor and mold into a better hero. But an overzealous Spidey soon got in over his head, as he bungled an FBI bust and nearly oversaw a massive ferry disaster. It took the intervention of Iron Man to save everyone aboard the ferry and keep the vessel in one piece. This scene heavily pushed the teacher/student, father/son relationship between Tony and Peter, a relationship that would reach its peak during Avengers: Infinity War. But that’s a conversation for another day. With Tony Stark back home, he worked to refine the Iron Man suit that he had created during his time in captivity. So he got to work on a slicker, more refined suit of armor. It led to crash tests, a lot of faulty tests, frequent falls, and a lot of fire extinguisher action. Tony still needed to work out the kinks in his Mark II armor, but to prevent any further mishaps, he needed to work out any issues in his repulsor technology. That’s when he tried out the repulsor gauntlets and boots, taking time to glide across his lab. After some initial trouble where he nearly fried his sports cars and blew around all of his paperwork, Tony steadied himself and maintained a steady altitude above the ground. After landing and chastising the overzealous fire extinguisher robot, Tony proclaimed, “Yeah, I can fly.” It’s another iconic line for the character, encapsulating the suave heroism that only Robert Downey Jr. could bring to him.